Eggs are among the most nutritious foods you can eat, yet for some years the public were being advised to drastically reduce their consumption of eggs because egg yolk contains a high level of cholesterol and could therefore increase the risk of heart disease. More recently, this view has been dismissed by most medical authorities, since some cholesterol is vital for a healthy body and eggs are high in HDL or “good cholesterol”. NHS advice now is that there is no recommended limit to the number of eggs we should eat, although on occasions GP’s may advise a limit for an individual patient. Other medical sources caution some moderation, notably for diabetics. Along with the high levels of HDL, eggs are also a good quality source of protein, helping to maintain stronger teeth and bones and promote muscle health. They also contain vitamins A, B12 and D as well as choline, folate, iron, iodine and phosphorus, all of which provide a range of benefits for health. The healthiest eggs of all are those enriched with Omega 3 since these do even more to promote brain health. As well as these benefits, eggs are also low in calories, filling and cheap – although price can vary according to how the egg was produced. In the UK eggs are stamped according to how the hens have been bred and reared: 0 for organic; 1 for free range; 2 for barn and 3 for cage. Tests have shown that hens allowed to live on grass and eat their natural diet produce a more nutritious egg. Nevertheless, it is more expensive to keep hens this way, which is reflected in the price of their eggs. In the 1990’s there was a scare that most eggs contained salmonella, but this risk receded now that many hens are vaccinated against it, although evidence supports the claims of organic egg farmers that the salmonella risk is linked to intensive cage farming so their hens may well not need vaccination. Even so, some risk is attached to eating dishes made with raw or partially cooked eggs (including soft-boiled) so they are best avoided by young children, pregnant women and the sick. Very fresh eggs carry least risk. In cooking, eggs are an extremely versatile ingredient with a huge range of uses. They are an essential part of most cakes and many desserts as well as being a staple food in savoury dishes. Even more commonly, they are eaten by themselves for breakfast, lunch or dinner either boiled, fried, poached or scrambled. No wonder the UK consumes more than 12,500,000,000 eggs per year – that’s roughly 192 per person. Eat them fried as part of a traditional “full English” breakfast – though poaching is a low-fat healthier option. Serve poached or scrambled eggs on toast with mashed avocado or grilled tomatoes or spinach or chopped smoked salmon. A soft-boiled egg with bread and butter “soldiers” is another perennial breakfast favourite. Beat two or three eggs together with a drop of milk and fry in a non-stick pan with a little oil to make an omelette. Turn the omelette half way through to cook the other side. It can be flavoured with whatever you fancy, perhaps something from this list: cheese, tomato, mushroom, herbs, ham, onion. Or you can make a thicker version using left over cooked vegetables and oven cook it. The Spanish potato tortilla version is delicious, or lovely recipes can be found under “frittata”. Deliciously flavoured quiches can be made by pouring the omelette mixture and ingredients mentioned above onto a lightly baked pastry base. Hard-boiled eggs team well with salad and can be easily sliced for sandwiches. Alternatively, they can be mashed in mayonnaise to make a sandwich filling. Or a boiled egg in its shell is an easily portable, filling and nutritious snack. At Easter make decorated boiled eggs part of your celebration so you cut down the chocolate a bit! Beat with milk and plain flour to make sweet or savoury pancakes (traditionally eaten on Shrove Tuesday). Use hard-boiled eggs with fish and rice in kedgeree recipes. Mix beaten eggs with cottage cheese and chopped coriander then cook in ramekins for a starter or light lunch. Mix eggs with crème fraiche and ingredients such as grated cheese, tuna, chopped tomato and herbs to make savoury muffins baked in the oven. Combine eggs with milk or cream and a little sugar to make egg custard or crème brulee. For a more filling dessert, use the egg custard to make bread and butter pudding. Use egg whites to make meringues or Pavlova. A meringue topping finishes off lemon meringue pie and Queen of puddings. Make a mousse which can be flavoured with many different things: salmon for a savoury one and chocolate for a sweet might be favourites. Curry eggs for a tasty vegetarian dish or use them to garnish Biryani dishes. If you have the time and patience, prepare home-made pasta. Use eggs as a key ingredient in cake-making, notably a deliciously light Victoria sponge, cupcakes or muffins. Fat-free sponges are another possibility. If you have other tasty ideas for egg recipes, please comment below. You can read about the other Top 20 Healthiest Foods here. Once upon a time you would only hear of blueberries on sentimental TV dramas, usually in the context of how much some freshly scrubbed all-American boy loved “Momma’s blueberry pie”. For years I didn’t know what a blueberry was and I had never tasted one until I was about forty. But that was before blueberries became a regular on the shelves of every supermarket all year round. I’ve become used to them now and often have them on my morning cereal, even though I do find them very expensive – and sometime a bit bland and squishy. To be quite honest, they’re not a blackberry, are they? But they are pleasant enough and they DO have lots of health benefits. When you want to clean the floors, do you use a vacuum cleaner or a hoover? Do you wipe your nose on a kleenex or a tissue? 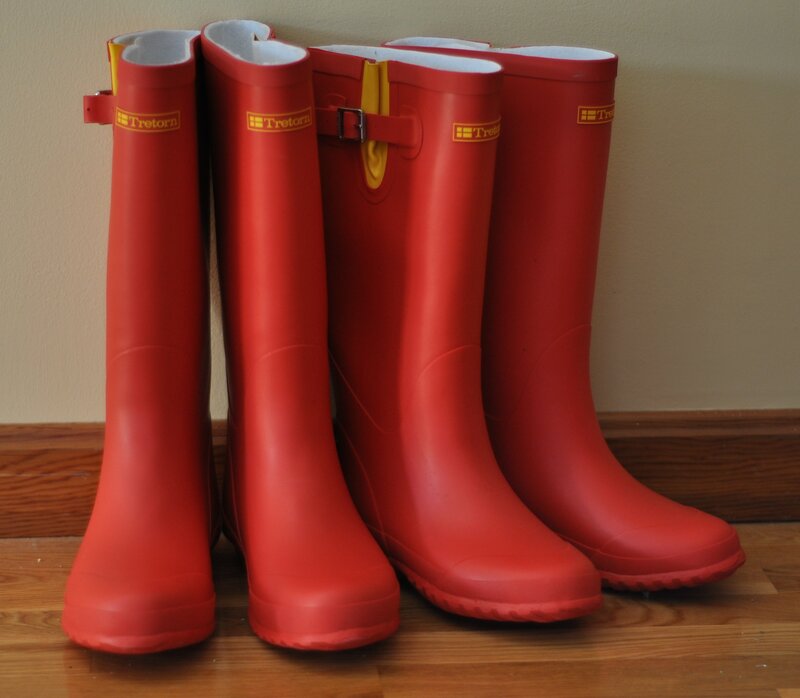 And when you’re walking through mud, would you go for waterproof rubber boots or wellingtons? In other words, do you use the generic or general name for the object, or do you use its eponym? An eponym is a word which is derived from a personal name. In the first two examples above, “Hoover” and “Kleenex” are manufacturers of the objects whose names have become so well-known that the manufacturer’s name has become synonymous with the name of the product. In the third example, although many people assume that the Duke of Wellington invented this type of waterproof boot, it was probably simply named in honour of him because he was a national hero at the time the boots were first manufactured. Tags eponyms, etymology, food, interesting words, names, pavlova, plant names, wellingtons, word derivations. Of all the fruits, pineapple has to be the most refreshing, sweet and delicious. In my childhood it was usually only available in tins, but now whole pineapples can be bought quite cheaply in supermarkets almost all year round. It’s great that we can now have fresh juicy pineapple whenever we fancy it, but even more wonderful that this most succulent of fruit has a whole range of health benefits. How unusual that something which tastes so sumptuous is so good for you! Can I Lose Weight without Trying? I am an expert dieter. You can tell this by looking at my bookshelves: I’ve got just about every book on dieting you could think of as well as a number of others that you might not know about. Over my many years of dieting I’ve always found it’s a lot easier to buy a book about dieting than to make radical changes to my eating and exercise regimes. The diet books I especially like are those which give you advice on losing weight without focusing solely on what goes in your mouth. Of course l know that the best way to lose weight is to consume fewer calories than I eat. That means I need to do more exercise and be very careful about what I swallow. Unfortunately, though, none of that addresses my weighty issues of human weakness in lacking both motivation and the strength to resist temptation.